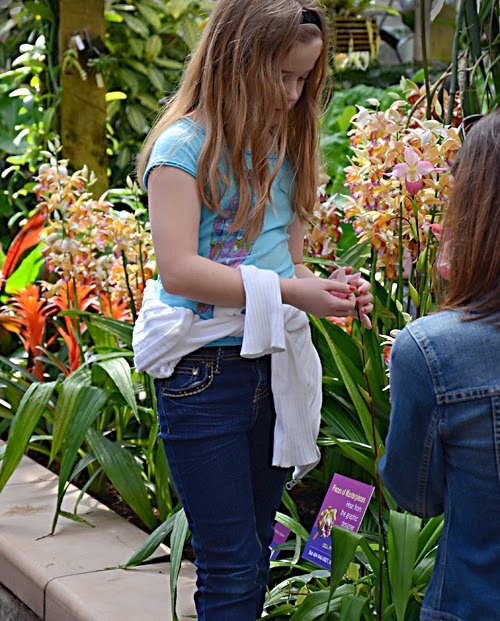 If you are looking for a weekend oasis for your family, there is no better place than the Garden this weekend. Spring is in full swing here, indoors and out. 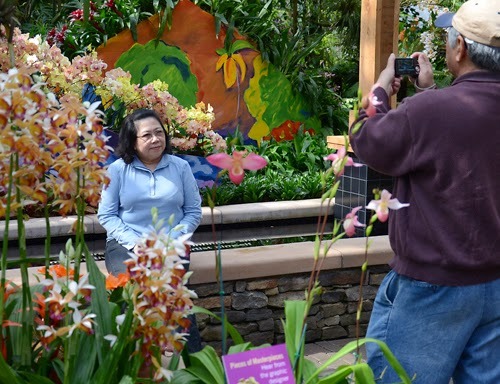 Orchid Daze: Lasting Impressions, our impressionist inspired orchid display, has become a favorite spring destination and photo sharing opportunity. 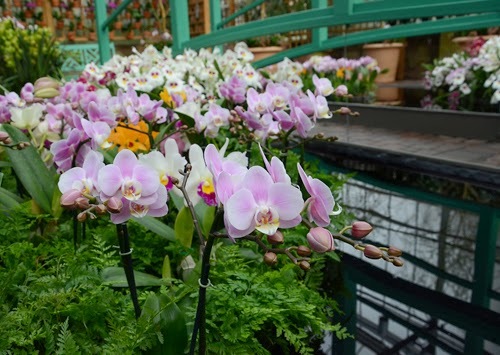 In the Orchid Display House, bold oranges, yellows and reds give the Gauguin inspired display the feeling of a lush tropical oasis. 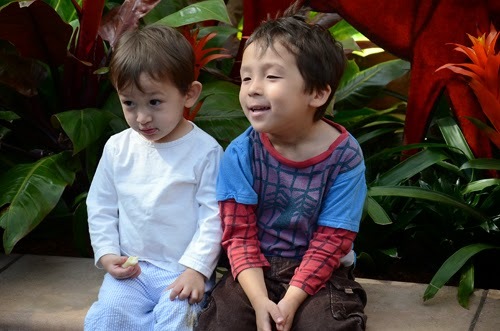 These guys had a lot of fun roaming the Orchid Display House. 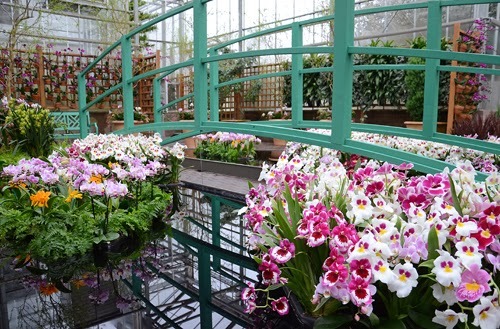 Spring is one of the best times of year to see orchids in our permanent collection in flower. 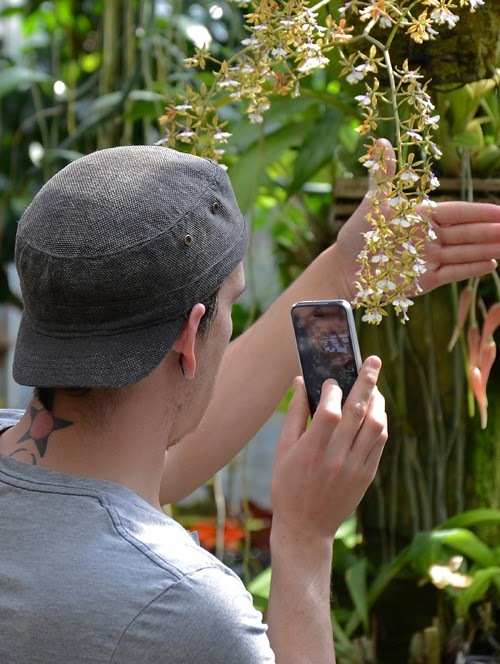 Epidendrum stamfordianum has a terrific fragrance. 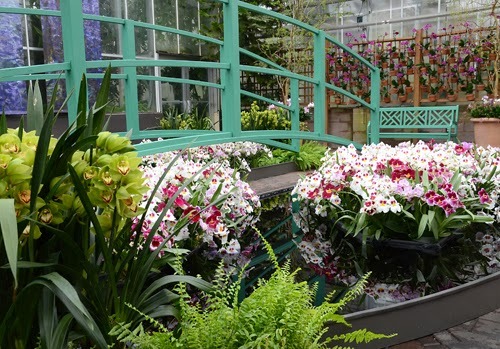 In the Orchid Atrium, a Monet landscape is re-imagined with Pansy Orchids, cymbidiums and Moth Orchids and cattleyas. The bright sunshine and cool sweetly scented air give this room a distinctly spring-like feel. The girls in pastel dresses look like they belong in a Monet landscape. 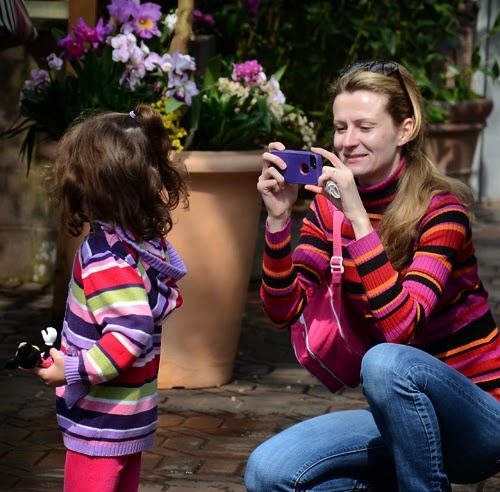 Their parents must have had some beautiful photos to share of this weekend at the Garden. 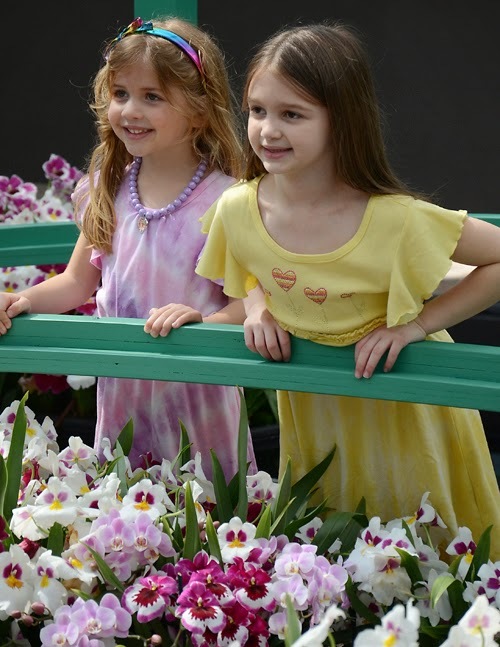 Orchid Daze:Lasting Impressions runs through mid April. Be sure to stop by!